Discussion in 'Small Talk' started by Linkachu, Jul 22, 2010. There's something I'm often curious about when looking through the General Writings forum... For any of you who are fictional writers, do you tend to write more fanfics or original works? By 'original' I mean unique concepts/worlds you made up yourself without any ties to an existing franchise. Unintentional similarities are fine, mind. Everything has been done before. For the sake of the discussion, try to avoid discussing Role Plays. I'm looking for actual stories you've thought up and written yourself. And it goes without saying, but no bashing please. While I've certainly written various fanfics over the years, moreso in the past than I do now, it's very clear that my love for fictional writing comes from creating new worlds as opposed to working off currently existing ones. Fanfics are fun and I really love dipping into worlds like Pokemon, Digimon, etc., but it's not quite the same as building my own universe or planet from scratch. I enjoy the freedom of being able to do whatever I want with a world without feeling like I'm seriously breaking a previously existing franchise. Even if they are fictional, a fanfic should at least try to stay within the limits set by something's original creator - or so I feel. When people try to adapt something too much it makes me wonder why they didn't just create a completely original story in the first place. If I was to count up all of the story files saved in my writing folder (dating back from approximately 2003, when I bought my first computer), I'd say about 80% of them are original stories - or stories based on dreams I've had - and the rest are fanfics. Before that, when I wrote on paper or our old, old computer, the number would probably have been higher. It wasn't really until Pokemon came out that I started writing fanfics, although I'm sure I had a few Final Fantasy and Sonic the Hedgehog spin-offs... Alas, those are all lost to time. Re: Fanfics or personal stories? I definitely tend to write fanfiction though I've toyed with the idea of creating my own worlds. But many of my chosen universes really leave a lot of room for creativity because the franchise for whatever reason doesn't develop it as much. Pokemon is a good example of that. There's so much that isn't covered in the series, so I let my 'imagination' run wild. The universe around Fire Emblem Path of Radiance and Radiant Dawn is another because I keep asking these questions about the series that just aren't answered. I did start writing a Fire Emblem fanfic that I posted it on another site that will never be seen again, lol. The only time I've written in a very established universe was in an RP setting so, yeah. Previously I wrote almost exclusively pokemon fanfiction, with a little WoW, DBZ, Digimon, Redwall here and there. 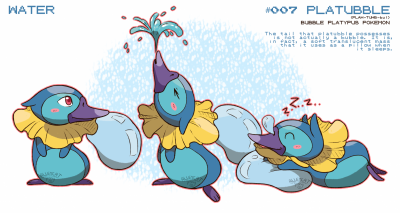 My last big pokemon 'fic was set entirely in a region of my creation with almost all fan-made pokemon, but unfortunately I really burnt out on it. But nearly all my fiction is fanfiction. I have a file of little ideas and quotes and half-paragraphs that I tap out now and then. University also really sapped my creative energy. I'm partial to original works, because I hope to get published one day. I do write fan fics, and I've recently discovered a new way to write those- Crossovers. But, my creative juices have slowed down a little; It must be the weather. My FF and FP accounts are very dry from no new work. But alas, I still work on my stories, half of them from dreams, some from words, some from songs. I get ideas from everywhere, even people. I started on fan fiction, and worked my way to original fiction. And my computer is filled to the brim with it all. Ditto! Good luck to you. Anyway, I've probably written more fanfiction over the course of my life, but my original stuff is, in my opinion, of a far higher quality, and I tend to enjoy it a lot more when it's done. I think there's more of a sense of accomplishment there. Awesome. Good luck with it, Kel! ^^ And wishing you all the best too, TBA! In the past I've really only written fanfiction, and that's what I'm currently working on as a nice little project to get me back into the creative writing groove have not really written anything outside of school related writing in quite a while. When it's something more casual like a fanfiction I tend to just take an existing world and shape it as I see fit and put my own creative spin on the whole thing. However, that's not to say that I haven't come up with, and dabbled with writing, various original pieces over the years. I'm pretty much constantly reworking a large idea that I've been working on for years now, but I always seem to get too fed up with it and start over again from relative scratch with everything except for a select few characters. Really though, I love writing incredibly much, and I'd like to do something involving reading/writing as a career (and that's precisely what I'm going to school for :x). When I was younger, I used to be far more into original stories- even though looking back, the characters were pretty full of fail XD. I'd create all of these people, draw them up and give them little quirks, and then write ridiculously long stories about them. My poor composition teacher- he was an awesome guy, but I can't imagine reading my stuff was easy XD Then, as I grew up, my original characters faded out- and now I've got only a few. They're actually good, now, but still, there's really not enough for a full story. Nowadays, I pretty much write exclusively fanfic- and mostly Halo in that regard. There was one with Ebola and Pokemon, but it was only partially hilarious. I dunno- I generally have a fear of trying to make my own stuff up because I believe I'll just fail in the end, or I'll make a world that's too close to something that exists already accidentally. I'm not very creative on my own- I sometimes need to glom on to an existing storyline. I tend to write more original stuff than fanfics. Well, maybe not write so much. It usually goes something like this: I read a novel I like, an idea sprouts and I draw a map. I love drawing maps, sometimes I base my fantasy novel selection on what kind of map the book has. If I don't like the map it's a very small chance I'll read the book. (how's that for sanity?) I love placing out small rivers, forests, mountains, cities etc and, often talking to myself, create history and politics for my world. Who conducts trade with whom, who wages war with whom, which plague came from where and so on. Very often this history is to general to become a story of its own. Sometimes I actually do have a story in mind, but I seldom write more than one or two pages on them, thus all of my notebooks are filled with stories still in their prologues. I know I should try harder to finish them, but I just lose interest so quickly. I've been trying to write a fantasy series since like... 7th grade. Progress is slow, I usually write a notebook page-a-night, if I'm not tired or lacking creativity. I could've been done with a story by now, but there's always I point were I start to dislike were it's going so I restart. Recently, I decided that the first book was more of a prequel, so I'm now writing the second one as the first book. I hope I don't change it again, I'm actually getting to were it makes more sense. I've many books unwritten in worlds both of my own invention and of other's. Like Kerauno and Blue above me, I'm currently trying the "attempt at being published" malarky and suffice to say it's going very slowly*. I don't find imagining in an already existing world to be any easier than in one of my own creation, however the actual act of writing does seem to be easier in an already existing world - but that does not mean to say most of my written work most of it fan-fiction. I would never do cross-overs, the very idea is absurd; I have yet to read one that is as well-sensed as one that involves a single universe. Even some of the Marvel mash-ups make little sense (where the hell are the mutants Peter Parker! Where are they?!) and they are supposed to exist side-by-side. I like more original stories in terms of Manga since writing just takes too much work to describe everything in the vibrant detail that it appears in my head. I am currently working on a manga called 2-Sides which I if I could draw better would be much further in progression instead I have to take drawing classes in my free time (and yes I know some people are born unable to draw and I may has well be but I am aiming high). Though I have toyed with the idea of fan fictions and have written them in the past, mostly shorts that were never completed. But unless I have to I don't use actual characters from whatever I am Fan fictionalizing since that's boring and I'd rather make my own people and back story at most mentioning at some points the real characters. My first story, an original piece of mine, was this incredibly crappy and pointless sci-fi story about robots taking over the world and the last humans in a space station orbiting jupiter that keep sending ships down to earth to fight them, with the main protagonists as Mary-Sue-Esqui-Teenagers. That ended up spanning 80 whole pages. I eventually gave up on it as my writing skills developed, it was just too far beyond repair. I tried to remake it recently, but decided not to do it after one chapter. My second original story was about bounty hunters in the modern world, of course, this was before I learned of what a modern bounty hunter was. Once again, the characters were too perfect and I gave up on the project after 20 pages. Now we're up to the point where I began to get involved with Pokecharms, I developed a love for pokemon, and thus my first RPs were born. MitMoMM (Mess in the Mines of Mt. Moon, my first good quality RP) was a really good practice for me, as it involved what is still my biggest pokemon RP battle to date. The RP was actually a prequel for this Sinnoh journey story involving Arceus and the Sinnoh Plates. I've tried making an RP out of it, but that ended up collapsing. I've got two chapters of it in a fan-fiction story form, though I've never worked much further on it. My final original idea was involving creatures living in the depths of the earth that were like hide-plated dogs with super-human speed that send a small group up to the surface to map it. 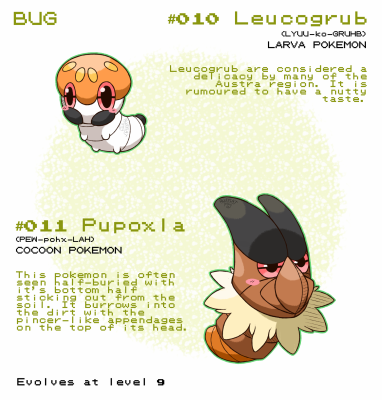 Two chapters of it appeared on pokecharms, but I gave up on it after some negative critism. But let's face facts; you can never make a successful story out of creatures based off of something you made in a Ben 10 Alien maker. Wierdly, I've never RP'd in my life. I've only written fanfics and original stories. I have a bunch of files on stories that are half written or just one-shots. One of my first fan-fictions was a cross-over between Maximum Ride (a JP book) and Bioshock. (a video game) Since both products had similiar themes, I was suprised not many people on FF has written on them. I've written a lot of fanfics on Pokemon as well. Sorry for this off-topic post. I'm currently brainstorming for my first fan fic on this site, based on Kingdom Hearts, but sort of, re-writing the story. Myself, on previous sites I tended to do mainly fanfictions, but I have done a few Original ones, and did, at one point, actually began writting and illustrating my own story, not to be published, but to be simply something to do, a hobby if you will. I dabble in both fanfics and original fiction - though I mostly write one-shots and short stories. I pretty much told myself that I'm not going to start any new stories before I finish my current work, At the End of the Wilderness, but that seems to be taking far longer than I expected. Having a hard time really connecting with my characters lately. Le sigh. I've been an author for about four years, three of them in serious attempt to improve, and by now am decently accomplished based by the reception of my works when people give feedback (an author's bread and butter, if you may). I tend to get many different ideas, both fan and original, but I unfortunately do not have time to develop all of them. However, looking at the track record; my work averages to be about 60% fan work and 40% original in story count. Close enough to half. But, I do use my fan works as practice for the three original novels I'm currently trying to complete the world-building and character-creation for. Shades of Gray, Leaute: The High One, and Mageblood are all varying forms of the Fantasy genre, as are most of my work. Even my fan work is heavily leaned towards Fantasy, although in a different way. I also dabble in poetry and a few songs, though, of both varieties.